A-HOTEL.com - Luxury and cheap accommodation in Borodinskoye, Russia. Prices and hotel, apartment booking in Borodinskoye and surrounding. This indicative offer was derived from the most recently booked accommodation in Borodinskoye and sort by the price, from cheapest Borodinskoye accommodation to the most expensive hotels. To select accommodation by your preferences we recommend to choose from 1 accommodation offers in Borodinskoye in total. By entering the dates of your overnight stay in Borodinskoye and using the filter tools you can sort the best possible accommodation for you. The entered dates of your stay are crucial for the most accurate offer as it derives all the online information on pricing and availability of Borodinskoye accommodation. Then you can book the selected Borodinskoye lodging (hotels, apartments etc.) immediately. Offering a barbecue, Baza Otdyha Borodinskoye is situated in Borodinskoye. Imatra is 36 km from the property. Set in Maslovo, Baza otdikha Skala offers accommodation with free WiFi and a garden with a barbecue and lake views. All units include a fully equipped kitchen, allowing guests to prepare their own meals. Located in the ecological area, just a 10-minute walk from Vuoksa River, White Goat Farm features fishing equipment, a terrace and BBQ. This property offers a garden and darts. Featuring river views, Sakura in Gory provides accommodation and a private beach area. Free WiFi is offered. Eko-Khutor Räisälä is located in Bykovo Village and offers banquet facilities, a sauna, billiards and table tennis. Younger guests will enjoy the children’s playground. With barbecue facilities and a garden, Turbaza Belichye offers accommodation with free WiFi. Some of the units include a satellite flat-screen TV, a fully equipped kitchenette with a microwave, and a private bathroom with a shower and a a hair dryer. Offering a barbecue and views of the lake, Hutor U Papika is set in Vasilyevo. Certain units have a seating area for your convenience. Apartments Gagarina 11 offers accommodation in Svetogorsk. Guests benefit from balcony. Featuring lake views, Baza Otdykha Ozerny Bereg in Belich'ye provides accommodation, ski-to-door access, barbecue facilities, a garden and a terrace. All units come with a seating area, a flat-screen TV and a private bathroom with free toiletries and shower. Peacefully located on the banks of the River Vuoksa, this hotel features Russian cuisine, a steam bath and many sports facilities. 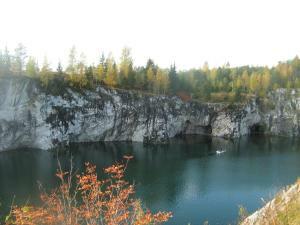 It lies in Lesogorskiy, 5 km from the Finnish border. Situated 50 metres from Lake Immalanjärvi, Villa Rajala offers free sauna access and apartments with a balcony and a fully equipped kitchen. Imatra city centre is a 20-minute drive away. Svetogorsk Hotel Complex is located in Svetogorsk, 6 km from the Imatra town in Finland and 60 km from Vyborg town. It offers a fitness centre and a sauna. Located in Vasil'yevo, Holiday home Rodnaya Usadba offers a barbecue and children's playground. Holiday home Rodnaya Usadba also includes a sauna.